Watch my review of the 2015 Peaks Challenge Gold Coast. If you’re wondering when Peaks Challenge Gold Coast 2017 dates are, you’ll be disappointed by news the event is cancelled. That’s right, Bicycle Network’s Peaks Challenge series will not include a Peaks Challenge Gold Coast in 2017. “As we look to evolve the Peaks Challenge series and take it to new heights and destinations, we’re putting Peaks Challenge Gold Coast on hold for this year. Why was Peaks Challenge Gold Coast 2017 cancelled? I guess this means that Peaks Challenge Gold Coast in 2015 and 2016 cost Bicycle Network money. Or, there is some other reason not to run it. There were around 1500 riders in 2015, which probably means the event isn’t financially viable. If Bicycle Network reconsiders Peaks Gold Coast, they might look at the price: $300 for a one-day sportive is much too expensive. A more reasonably price point would be $100-150. The price of $300-$350 included a jersey and water bottle, which I can do without. I’m happy to pay $100-$150 for food stops, costs of running the event and profit. It sounds like Peaks Gold Coast won’t return, which is a real shame. This comes on the heels of Wiggle’s Speed in the Tweed which was held once 2013 and then disappeared from the calendar, along with Wiggle’s other Cycling Series events. It’s a strange decision because the logistics of Peaks Cradle Mountain (Tasmania) and Peaks Falls Creek aren’t as favourable as the Gold Coast. There were a lot of really great reasons to do Peaks Gold Coast, as I mention in my video review. 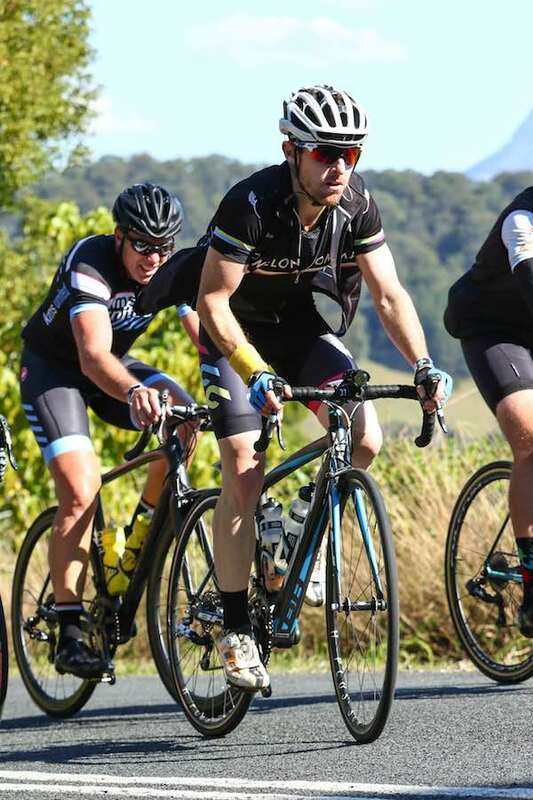 For those living on the Far North Coast of NSW, it was great to have a high-quality Gran Fondo on the Gold Coast. It was a fantastic event: really well-organised and best of all it started and finished on the Gold Coast, where there’s loads of accommodation and an international airport. 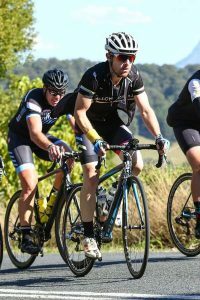 For the many cyclists on the Mid North Coast, Far North Coast and southern Queensland, there are not a lot of quality Sportives/Gran Fondos on the calendar. For the NSW folks, there’s the Grafton Inverell epic but that has a lot of logistical challenges. It’s a real loss because Peaks Challenge Gold Coast had serious credibility and was really well organised. Moreover, it means that the Gold Coast misses out on valuable tourism from Sydney, Melbourne and Adelaide (and potentially NZ?) cyclists seeking to escape the frigid winter. Let’s hope that the cancellation of Peaks Challenge Gold Coast 2017 doesn’t mean the end of the event. I could be wrong but as far as I know, a section of the road between Mudgeeraba and Springbrook got washed away by ex tropical cyclone Debbie. A bridge out the back of Oxenford got done as well. Maybe it’s too difficult to devise a route to work around this? I think Springbrook was the feature climb of this ride. Hi Tony, thanks for this. I reckon they could have worked something out. From what I could glean, I reckon it was profit/numbers, not route. You could easily devise a route out of GC or Tweed or even Noosa to give this a good route. A possible factor in the low/non-viable numbers is with the ride in August those living in the southern states would have to do the bulk of their training over winter. Having done Falls Creek and enjoying the benefits of training over summer, I can see how this would put people off (me included). Great insight, Nick. Interestingly, though, the cold doesn’t seem an impediment for training for L’Etape du Tour/Marmotte/Maratona, so I wonder if they’re seen as worth training for? My personal opinion, and experience, reflects that an Etape is much harder than Peaks GC (but probably not Falls) and demands more training. Also worth considering is that lots of cyclists can get reasonable volume (but not necessarily hills) commuting to work in Melb. I was able to do 400-500km of volume in Melb combining commute with North Rd Rides (commute was 12km short or 25km long each way), so if you can get 250-300km you’re well on the way to doing enough training for Peaks GC. Lastly, I did Peaks GC with bugger all training, after just having our first child, so it can definitely be done with minimal training. Then there’s the fact that, like Around the Bay, you want to attract locals, and there a lot of cyclists on the GC, Brisbane, Sunshine Coast corridors. I am not sure they got the local numbers. Having said that, yours is a good point and I’d be more inclined to line this event up with a Vic/NSW/QLD public holiday if possible. Problem there is there are only minimal weekends you can use in the May-Sept period, more so if you try and get a holiday across 3 or more states, which tend to be national holidays and therefore more likely to be used for family things. Ideally you’d want it not long after Vic Autumn which only leaves March (Labor Day Vic, but NSW Labor Day is Oct). April/late March is Easter and Anzac Day and most people have family plans for Easter so that’s out. May is ideal up here but could be wet (we had that epic rain event in May 2017). June is QBW and that’s opening weekend for snow. Given the snow season is becoming more marginal at the start/finish, that might be a good weekend. But again, June can be wet up here. July/Aug tend to be the driest months which leads us back to your original contention. Oct/Nov are possible (Melb Cup weekend? Not a holiday in NSW). I still think this event was much too expensive. Notwithstanding flights, Etape is €100 and that gets lots of locals. My feeling is they should lower the price to say $100-$120 and drop the jersey inclusion (cheap tshirt instead) and offer the jersey as a paid add on. A jersey probably costs them $50 or so, so they can drop that. Previous Post: Cycology Jersey Review: the greatest jerseys in the world? Next Post: Tour de France security: are you at risk at the Tour de France?